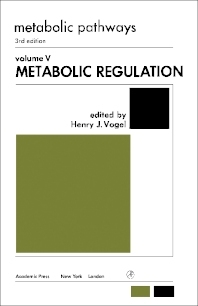 Metabolic Pathways, Third Edition, Volume V: Metabolic Regulation presents the regulation of metabolism in terms of the control of protein synthesis. This book discusses the significance of the control of metabolism in regard to the remarkable mechanisms involved and to the provision of an effective conceptual framework for appreciating the workings of the cell. Organized into 15 chapters, this edition begins with an overview of the numerous and diversified activities of a living cell. This text then examines the ability of living organisms to regulate the storage and mobilization of metabolizable energy. Other chapters consider the cytochrome system that represents the final common path of oxidation and coupled phosphorylation in the eukaryotic cell. This book discusses as well the profound changes that cell metabolism undergoes during differentiation. The final chapter deals with the chemical and genetic bases of the induction response in Gram-positive bacteria. This book is a valuable resource for biologists and physicians.